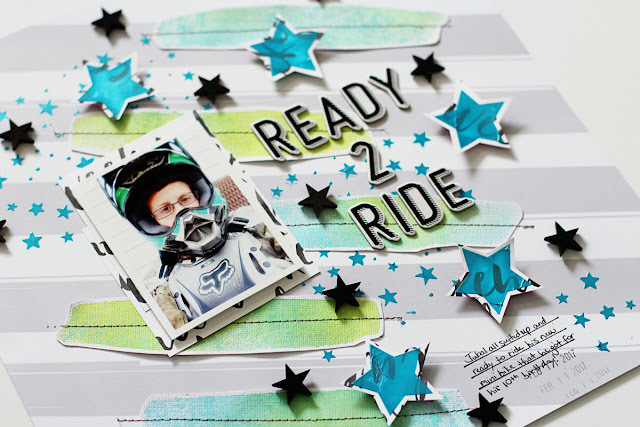 When I begin a layout design, I usually start with some sort of color scheme that coordinates with the photo/photos that I've already chosen to use. 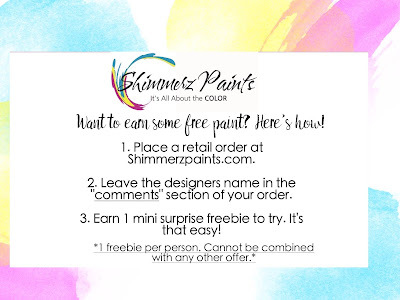 I also think about what types of Shimmerz paints will accent or enhance my layout the best, so for today I grabbed several Coloringz inks in Don't Citron Me, Heidi Ho Blue, Well Blue Me Down, and Night Moves and I also used Jeni B Blue in the Vibez spray ink. 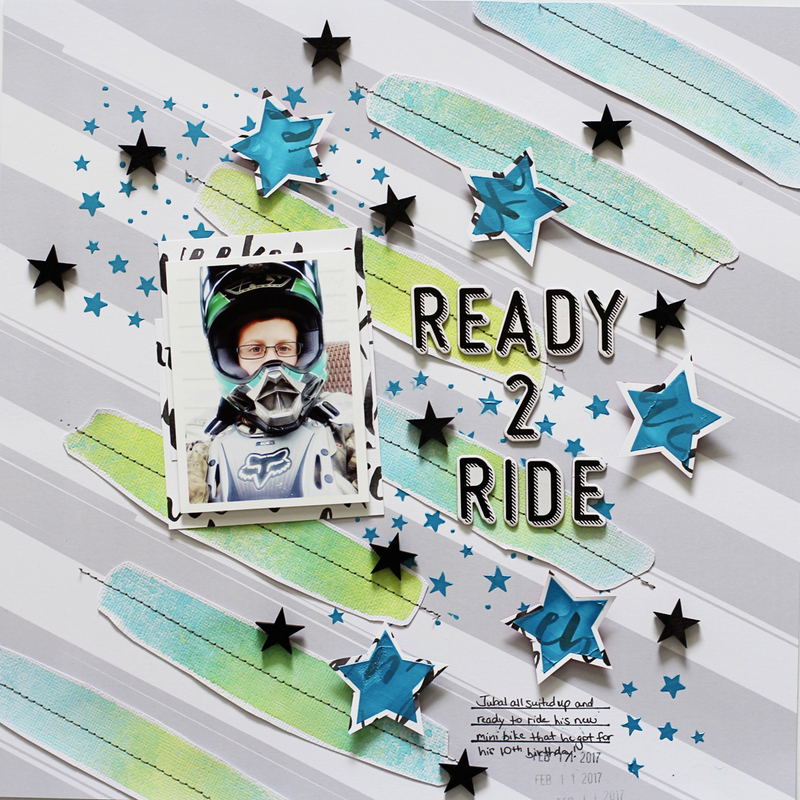 I love using Coloringz because they are highly pigmented and non-shimmering which works very well with the theme of my page. I created the "painted" strips that I placed along the same diagonal stripes of the patterned paper by using a cut file as a mask. I simply placed the cardstock with the cut file on top of another piece of white cardstock and misted the various Coloringz inks on it, except for the Night Moves which I used to alter the wood veneer stars that I placed on my page as added embellishments. 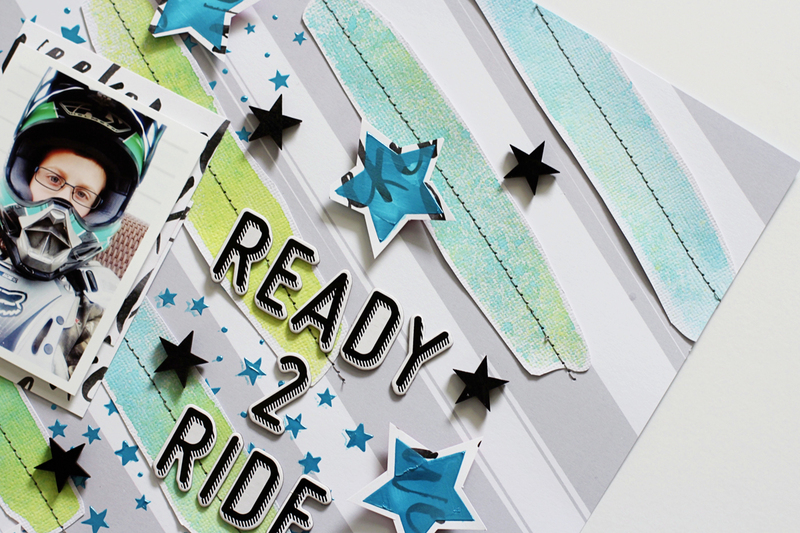 While I waited for the strips to dry, I used a star stencil from my stash and some Dazzlerz shimmering dimensional paste in Gummy Berry Blue to accent the patterned paper and to add another pop of color. I fussy-cut the misted strips out from the cardstock after the Coloringz and Vibez dried and machine- stitched them down in the same direction as the stripes on the patterned paper print to enhance it. 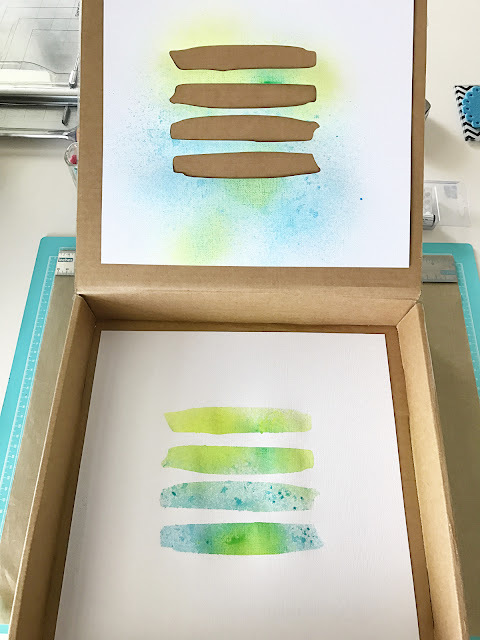 I really love the effect the misted strips give my page! 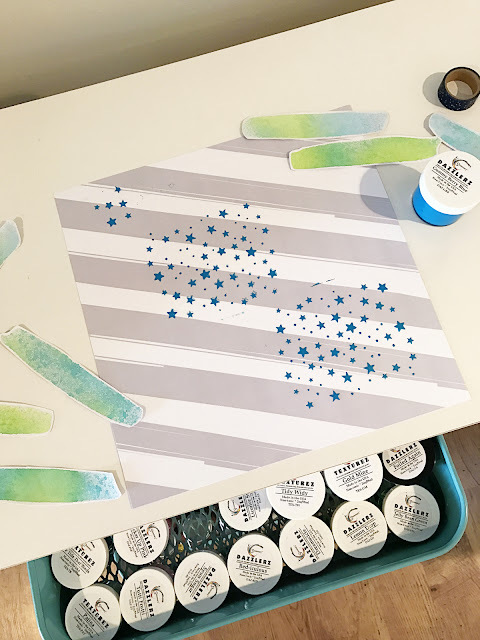 I also fussy-cut a few larger stars out of another piece of patterned paper after I had used a stencil and the Dazzlerz paste to coordinate with the black and white elements on my layout. 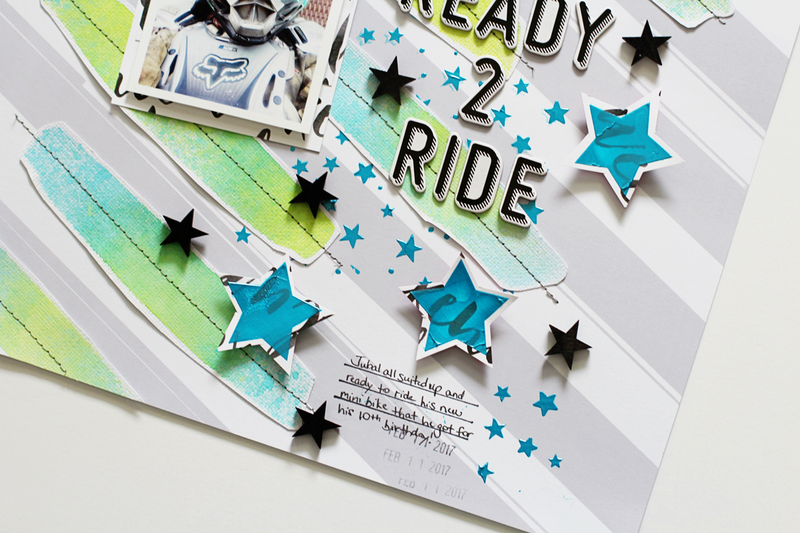 I adhered the stars to my page using some foam dimensional adhesive and also placed several wood veneer stars around them which I altered using some Coloringz spray ink in Night Moves. 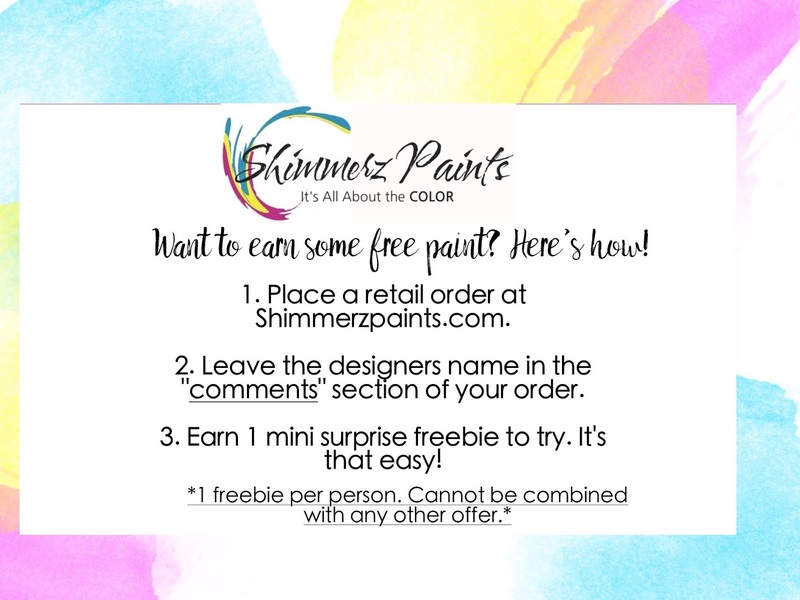 I hope I've inspired you to grab some Shimmerz and use them to enhance one of your favorite pieces of patterned paper for your next project! Thanks so much for joining me and I hope you have a great day!